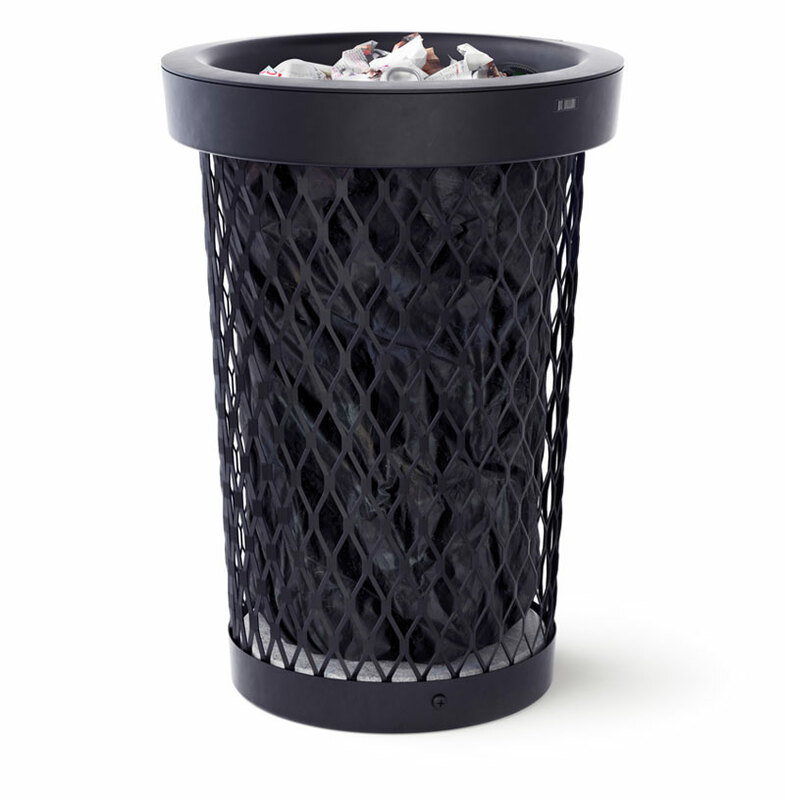 Task: to develop a trash can for city streets. The elegant Urnus-11 is designed for placement on streets and in public places. 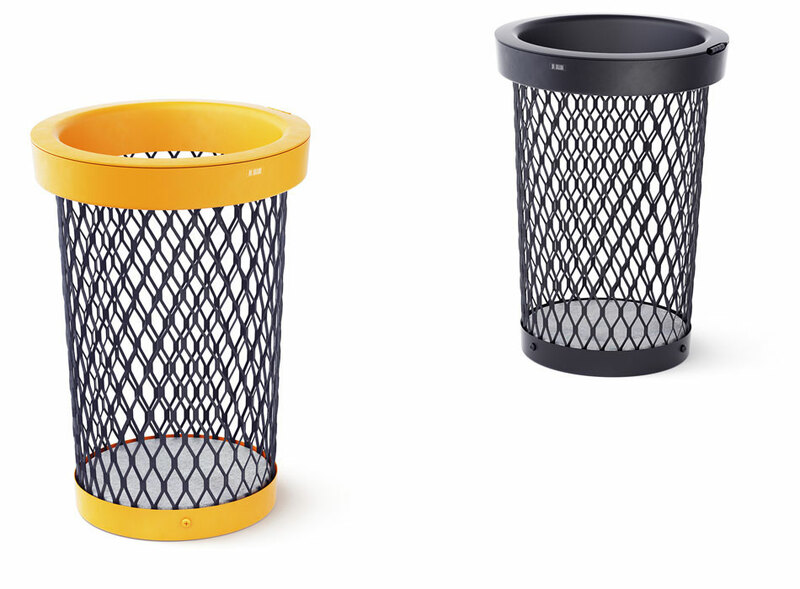 The visually lightweight trash can is made of metal mesh held together at the top and bottom with steel rings. The top ring with lid securely holds the trash bag hiding its edges. 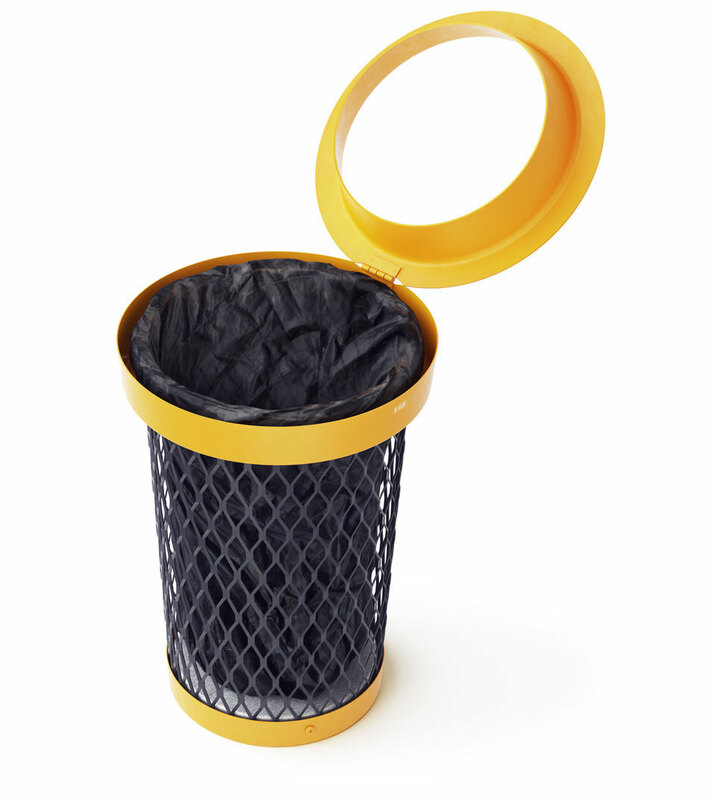 At the base of the trash can is a heavy concrete disk which allows to freely place the trash can at any place without using additional fittings.